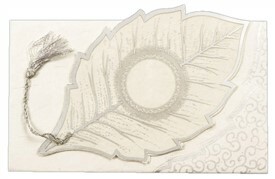 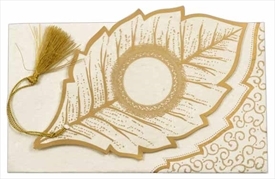 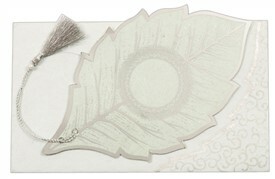 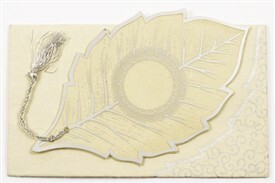 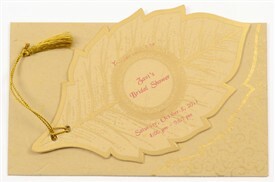 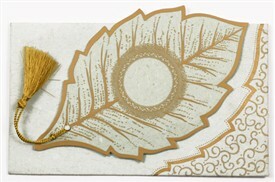 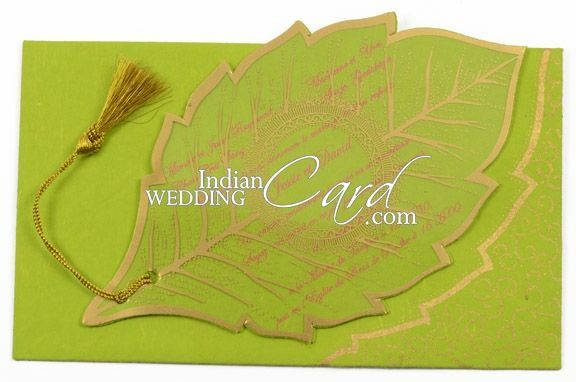 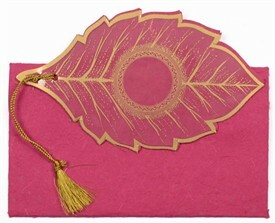 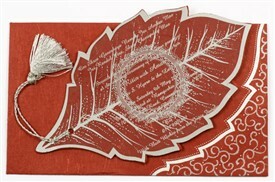 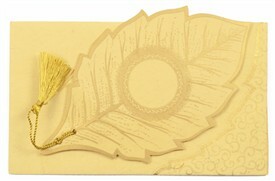 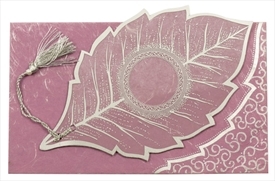 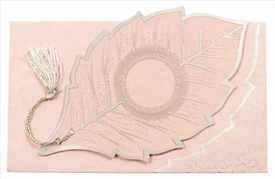 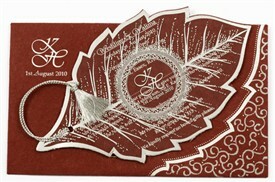 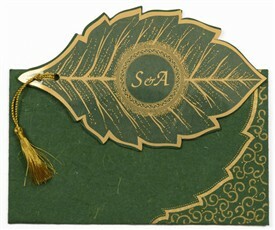 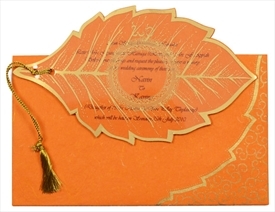 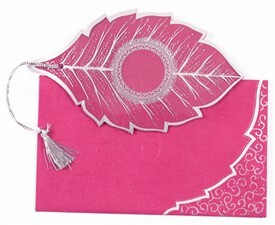 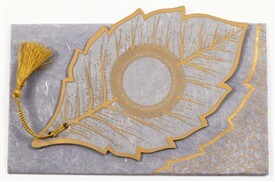 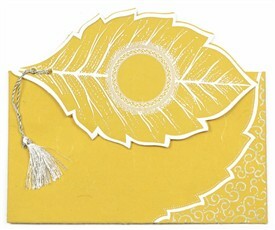 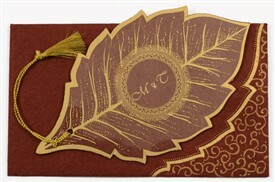 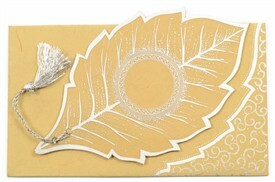 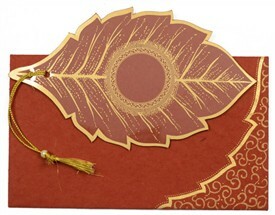 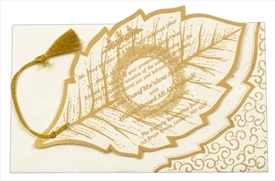 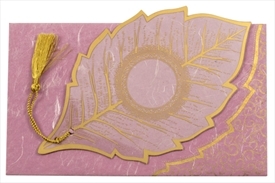 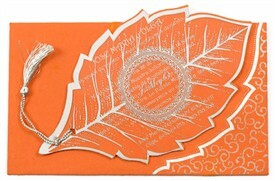 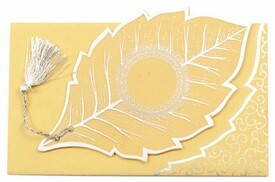 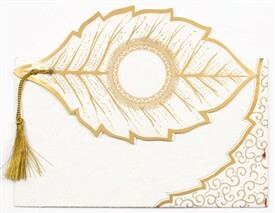 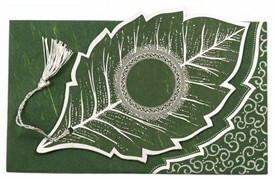 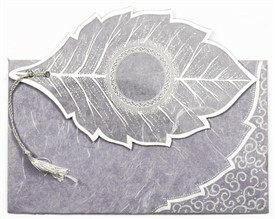 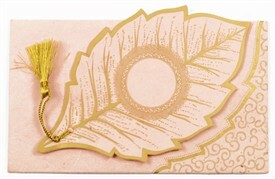 D-3144, Green Color, Handmade Paper, Odd Shape Cards, Small Size Cards, Light Weight Cards, Designer Multifaith Invitations. 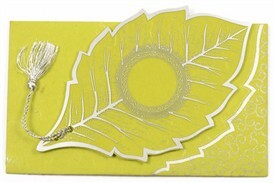 Silk Screen Printing in Green or any Dark color. 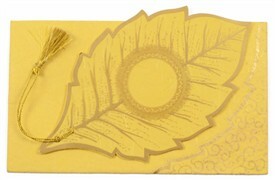 Gold visibility will be poor.